A rumor recently surfaced involving the LinkedIn page of an AMD technical engineer that listed the company working on a GDDR6 memory controller. I reached out to some people and can confirm that AMD is indeed working on the GDDR6 standard and will be actively using it in future graphics cards. As for the question that I am sure everyone will ask next, no AMD will still be sticking to HBM2 for its high end next generation graphics cards in 2018 (aka Navi). 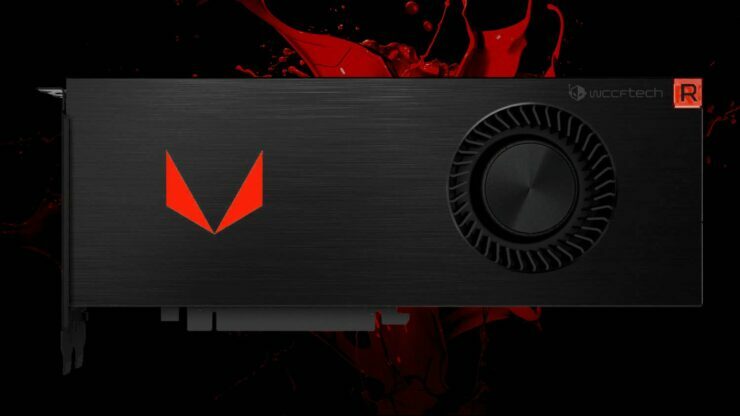 The leak originally stemmed from a picture of a LinkedIn profile showing an AMD engineer listing the GDDR6 memory controller technology in his portfolio. This is usually a fairly obvious way of confirming a leak but the profile in question was nowhere to be found. This is why I decided to reach out to sources familiar with the matter myself and can confirm that AMD is indeed working on GDDR6 memory technology and will be adopting it. The next obvious question becomes when and where will we see it used, to that, the only reply I got was that AMD will still be sticking with HBM technology in high end graphics cards in 2018. Samsung, Micron and SK Hynix all have roadmaps that show their GPU SKUs rolling out by the end of 2017 or early 2018. In either case it looks like video card manufacturers will have access to the incredibly fast memory standard from Q1 2018. Since pricing will almost certainly be expensive in the beginning and it remains to be seen just how it fares in comparison with HBM. Now AMD has previously teased that Navi will next-gen HBM memory, so it remains to be seen whether they are talking about HBM2 or the elusive HBM3 standard (which should be still faster than the GDDR6 standard) Edit: they are talking about HBM2. In any case, we do know for sure the company will be sticking with HBM technology for all its high end graphics cards indicating that either they will not be rolling out any GDDR6 based cards in 2018, or keeping it limited to mid-end or the professional side of things. Samsung, Micron and SK Hynix have all officially stated that they will be producing the fastest and lowest-power DRAM for next generation products. Samsung has currently listed a 16Gb GDDR6 DRAM in their portfolio but that can be expanded upon in the future when production hits full swing. With a transfer rate of 16Gbps, the DRAM will be able to pump out 64 GB/s bandwidth (per chip). The memory operates at just 1.35V. The GDDR5X memory operates at much faster speeds and has practically hit 16 Gbps as confirmed by Micron themselves. While GDDR5X can hit same speeds as GDDR6, the latter comes with better optimizations and higher densities. – and Samsung it claiming it to be an upgrade over G5X. We are looking at speeds of 12-14 Gbps becoming standard in the graphics industry while 16 Gbps will ship out in the high performance sector. There’s also up to 32 Gb density support while GDDR5/X max out at 16 Gb.